Sean Donovan is a New York based actor, dancer, and writer. Besides working with Jane Comfort and Company, he also performs with the OBIE award winning Builders Association, Witness Relocation, and with longtime collaborators Jennie Marytai Liu and Sebastián Calderón Bentin. In New York, he has performed as an actor and dancer at such places as BAM, The Kitchen, PS122, HERE Arts Center, Joyce SoHo, The Duke, The Baryshnikov Center, , The Ohio Theatre, DTW, La MaMa ETC, Dixon Place, Galapagos Arts Space, and the Brooklyn Arts Exchange. Recent credits include House Divided at BAM (NY) Heaven on Earth at LaMaMa ETC. (NY) and Les Subsistance, Lyon France; Faith Healing at Joyce SoHo (NY); Vicious Dogs on Premises at the Ontological Hysteric Theatre (NY) and a European tour to France, Poland, and Russia; and Stravinsky’s A Soldier’s Tale at the Castleton Opera Festival (VA) conducted by the world-renowned Lorin Maazel. Original works, in collaboration with Sebastián Calderón Bentin, are 18 1/2 Minutes at Stanford University (CA), The Climate Chronicles at The Incubator Arts Project, Se Vende at the FAE Festival in Panama; and Sublimate at Galapagos Art Space. 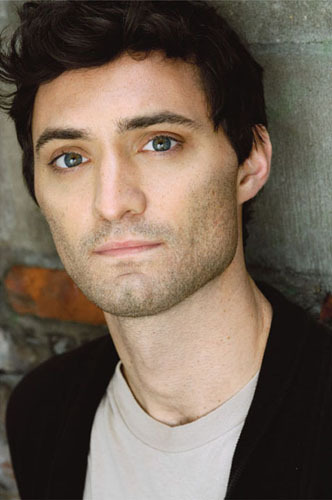 He received his BFA in Theatre from New York University’s Experimental Theatre Wing. He has trained and performed internationally in France, Holland, Romania, Poland, Russia, Panama, Canada, Thailand and Japan working with the highly acclaimed Ildi! Eldi of France and Sankai Juku Butoh company of Japan.